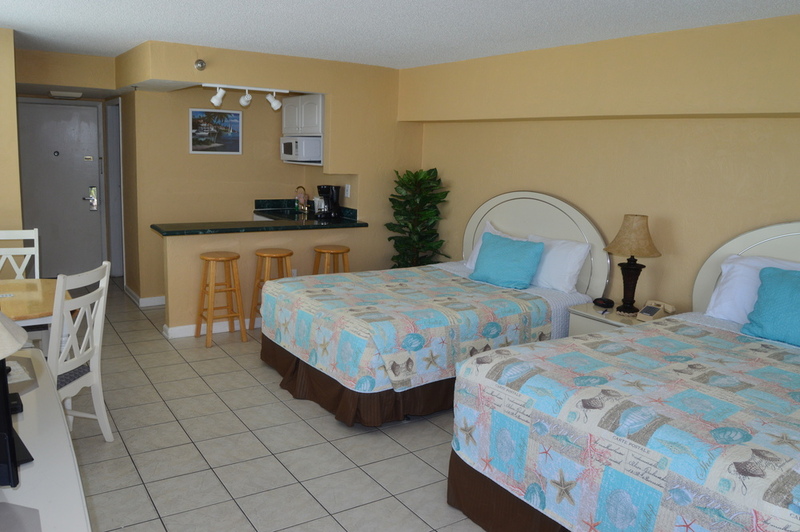 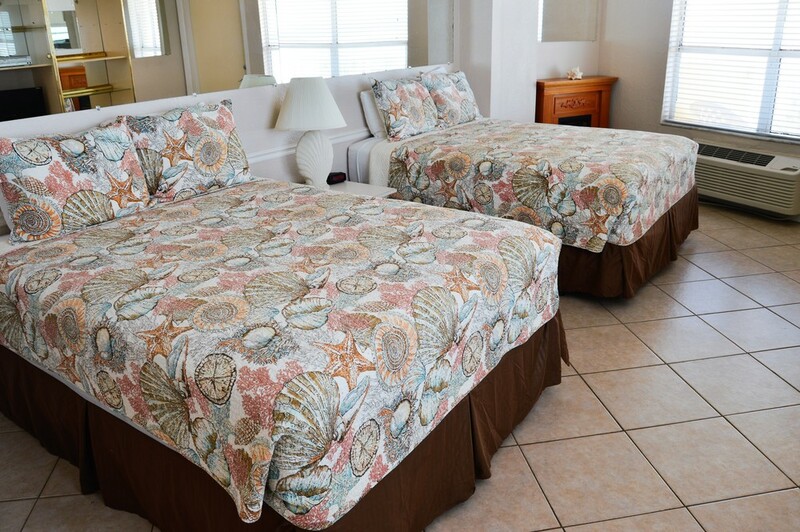 Max Occupancy: 4 The Oceanfront Studio Apartments come with either 2 queen beds. 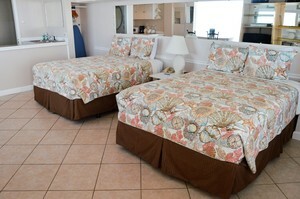 Comfortably sleeps 4 guests with 2 Queen beds. 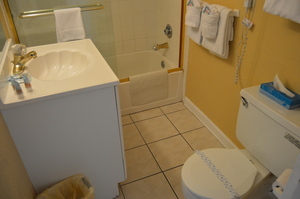 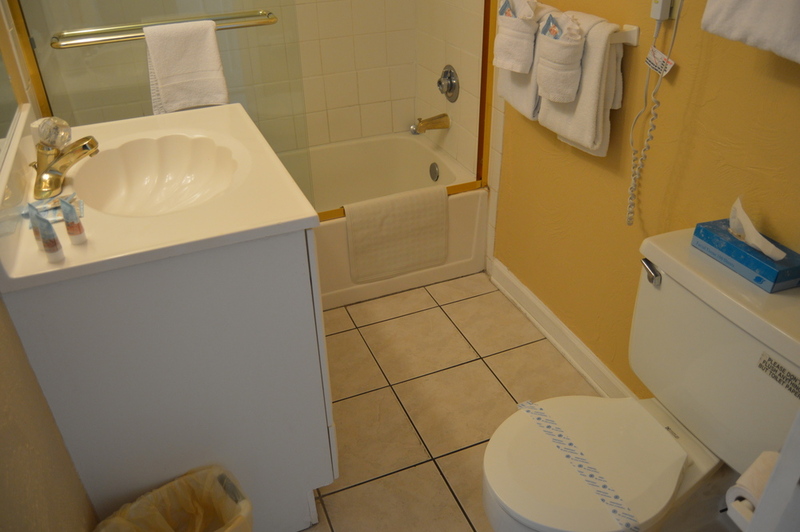 Each Studio has 1 bath and a resort kitchenette. 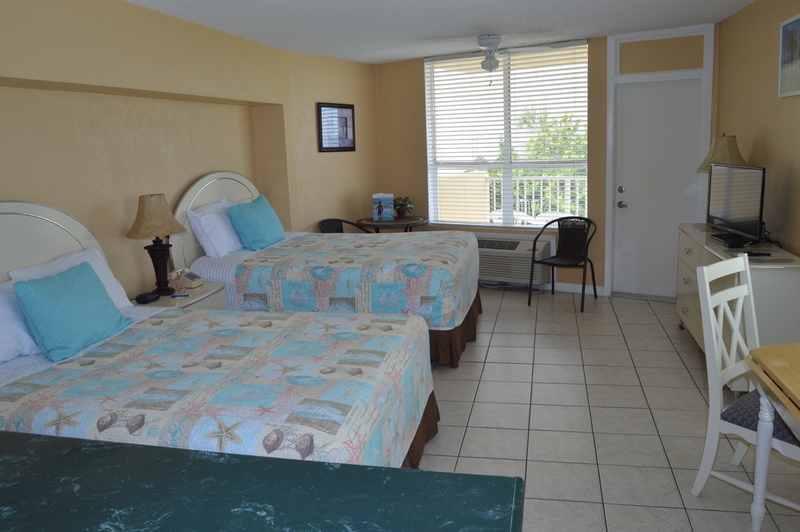 Includes microwave, refrigerator, coffee maker, toaster oven, utensils, and dishes. One of our most popular room types.